1. Combine maida, wheat flour, oats, walnuts, baking powder, baking soda, cinnamon, cloves and salt. 3. In an another bowl, whisk the egg, oil brown sugar and milk together. 4. 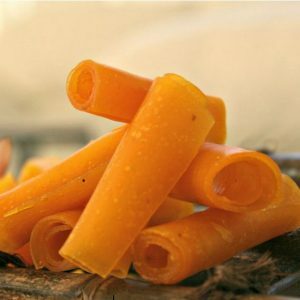 Add the shredded carrots and mix. 5. Pour the egg mixture into the flour mixture and mix well to make a batter. 6. Pour the egg mixture into a greased loaf pan. 7. Bake in a preheated oven at 190C/375F for about 30 minutes or when a knife inserted in the centre comes out clean. 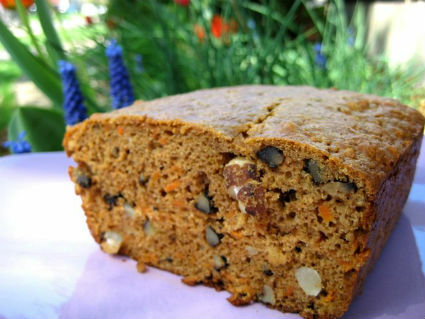 Feel free to comment or share your thoughts on this Carrot Walnut Bread Recipe from Awesome Cuisine.